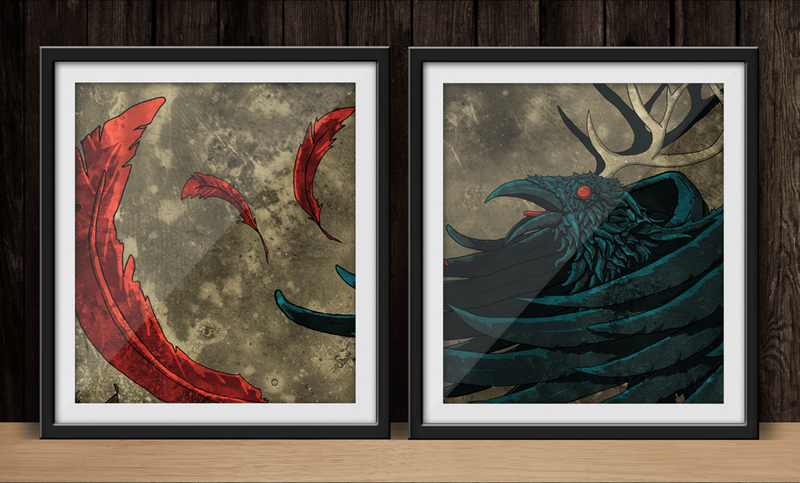 We wanted a dark, detailed illustration of our mythic antlered raven mascot while restricting ourselves to a limited color palette. This piece was greatly inspired by Juggernaut’s Hillside Cabernet wine label, which depicts a beautiful & ferocious six-color lion. 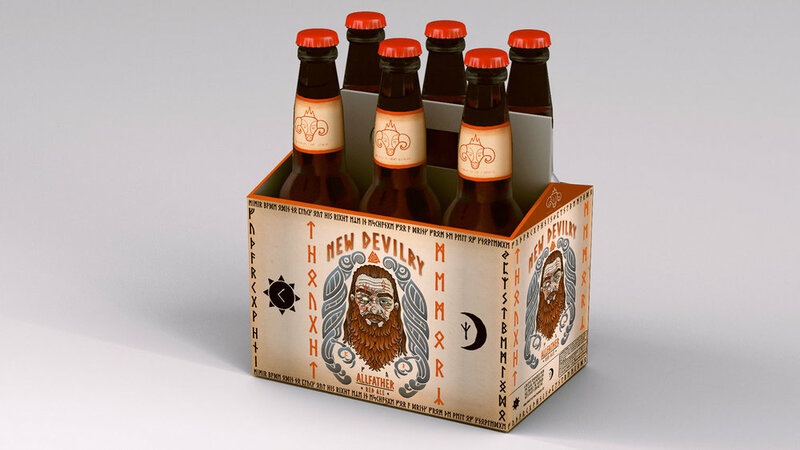 The label was so eye catching that we bought a bottle for the art alone. 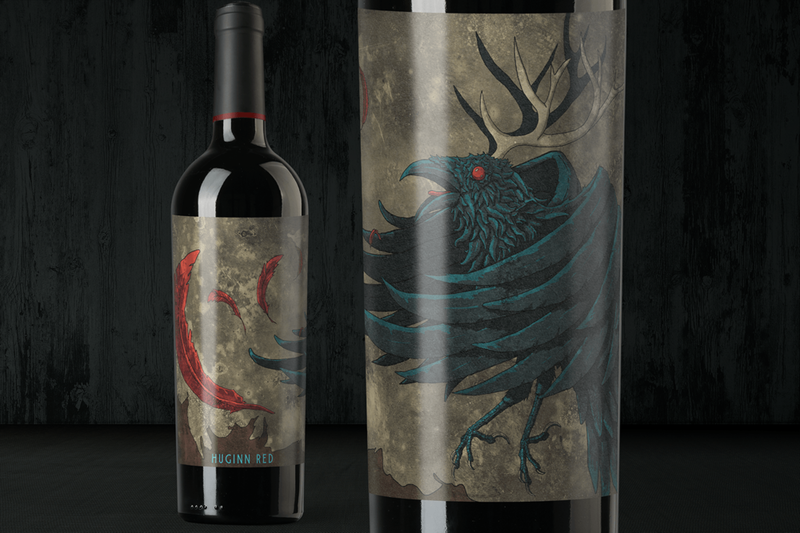 Our Huginn illustration was crafted to have that same first-glance impact. 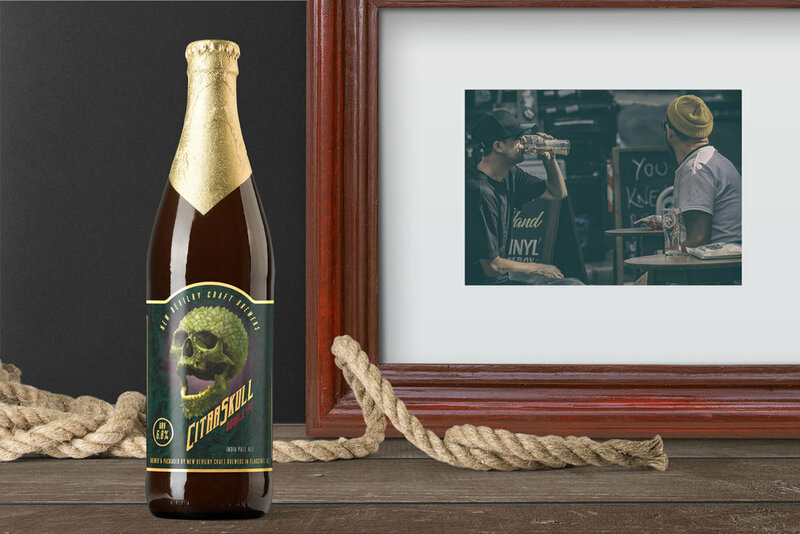 CitraSkull’s label was inspired by a sketch of a skull covered in scale-like hop leaves. 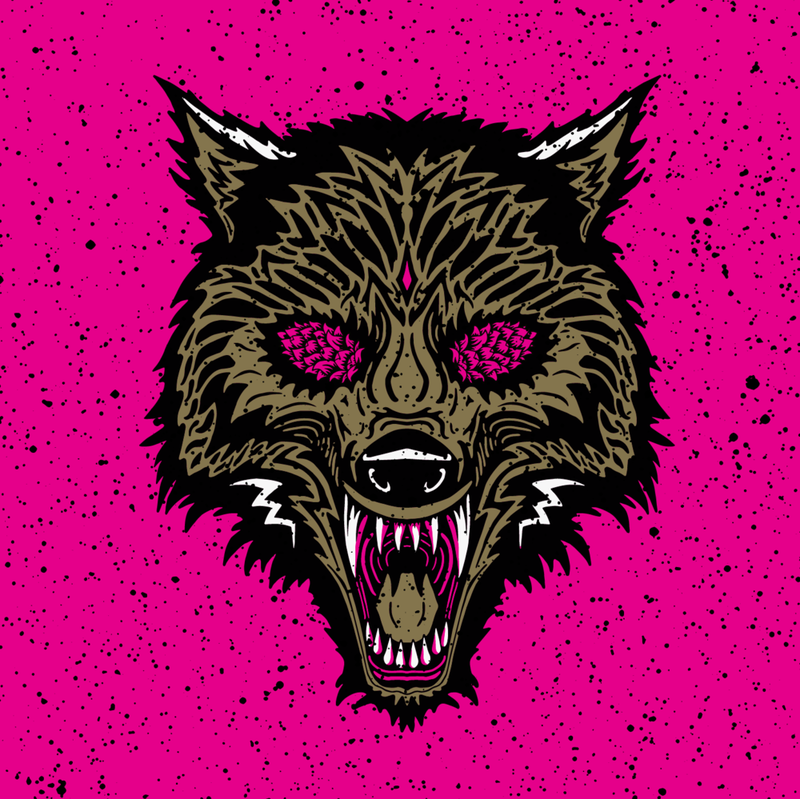 The edgy focal image defined the mood of this dark design, but the gold foil accents and magenta glow help to add balance and contrast to the composition. 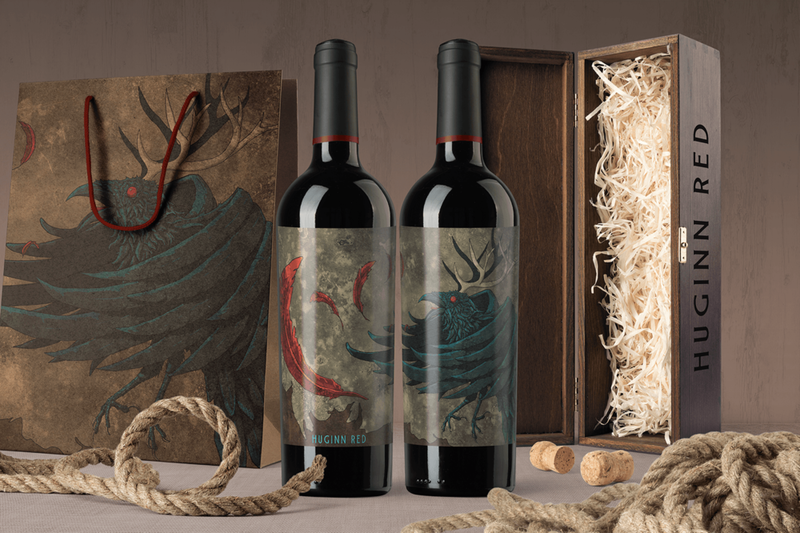 The pops of bright red are used sparingly across the label to bring attention to important details, but do not distract they eye from the key artwork. Odin, the Allfather, plucked out his eye in exchange for knowledge. His two ravens, Hugin & Mugin fly around the nine realms and tell him what they see. 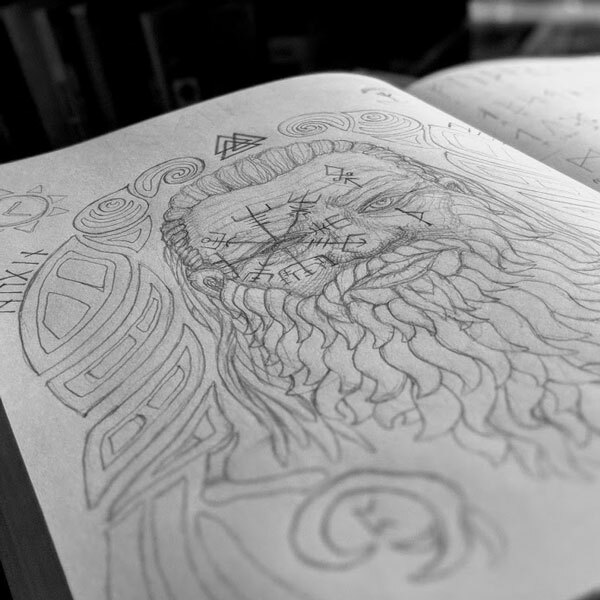 This design started with a simple sketch and blossomed into a beautiful Old Norse inspired illustration! 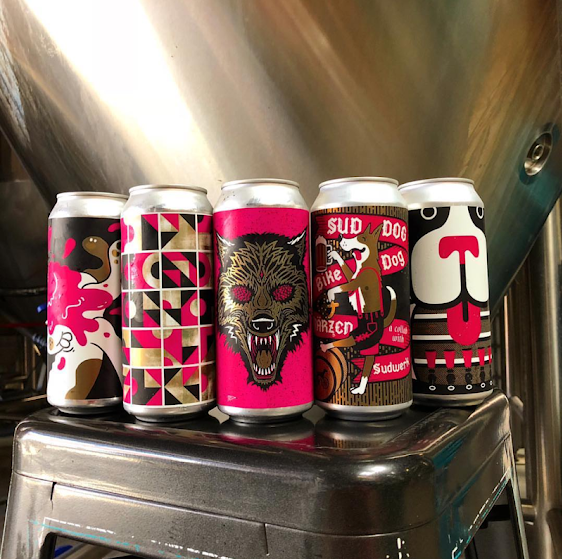 Bike Dog Brewing Co collaborated with local artists and breweries to create five new beers to celebrate their 5th anniversary, and we got a chance to design one of the labels! 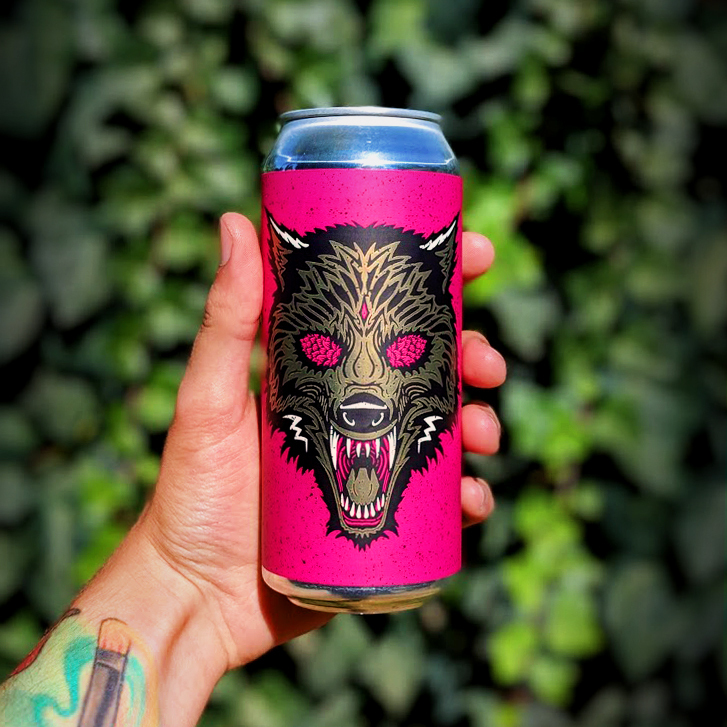 Introducing our ferocious beer hound design for Bro Hymn, a Hazy IPA! 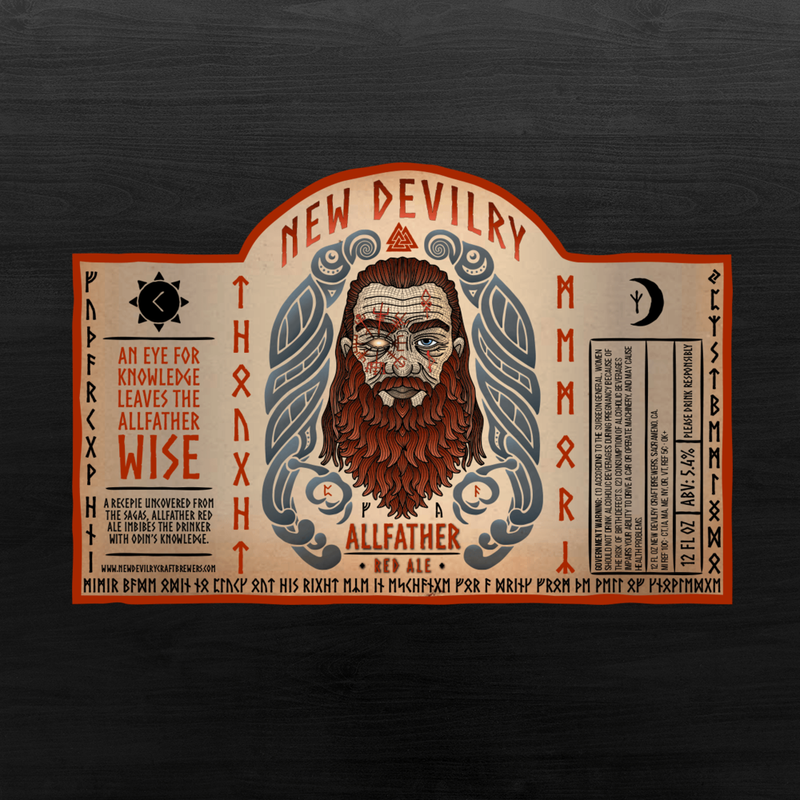 Thanks also to New Glory Brewing Company who helped brew it! 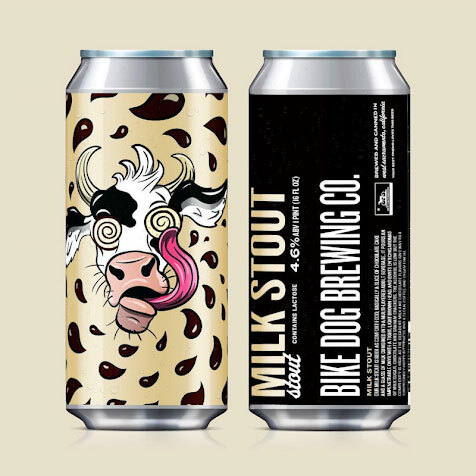 Winter is coming, and Bike Dog Brewing Co needed a new label for their Milk Stout cans. 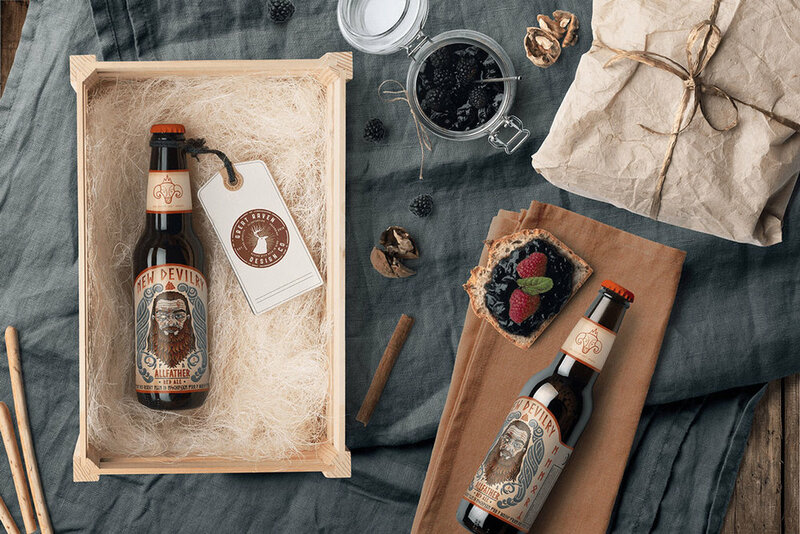 This dark & delicious draught required a design that embodied its deep layers of flavor. 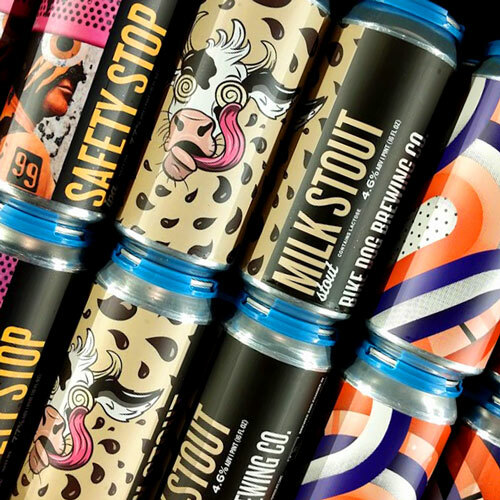 We used the warm, chocolatey tones found in classic stouts and used them to highlight our Crazy Cow illustration. 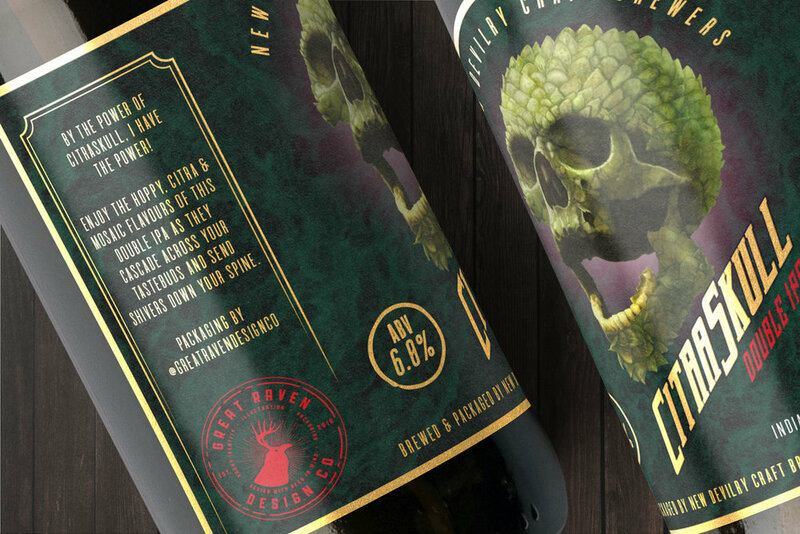 Medusa Stone Cold IPA is a label design inspired by Greek mythology. 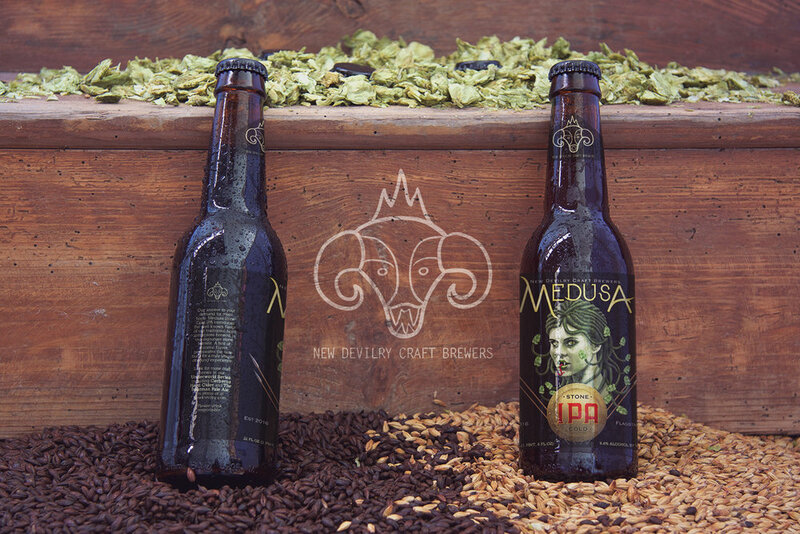 The hops were used to mimic Medusa’s snake heads. The shield references the tool used to slay Medusa, and the logotype was modified to better reflect the curves and flow of Medusa’s serpentine hair and forked tongue.